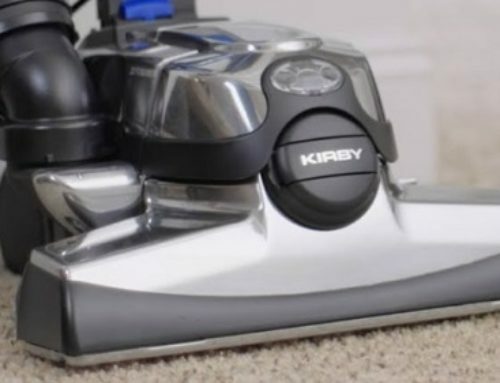 The two carpet cleaners in this competition represent two different types of carpet cleaning: the Kirby Avalir 2 is using a dry foam method and the Hoover SteamVac is using the carpet shampooing method, which is a bit more common. First, the Hoover. I’m using a slightly older version of the Hoover SteamVac, but it’s virtually identical to the newer SteamVac. In the tests, we use four stains. The first is the industry standard red clay. Next is grape juice followed by mustard and marinara. I let them dry for 24 hours and then vacuumed the carpet to remove dry debris. We ran the Hoover two times with the water trigger pressed and two times without. After noting how it did, I then continued until the entire tank was empty to see how much I could get. The results were pretty good. There are still signs of stains but they are light. I think I could have removed the rest with a few more passes or if I pulled out the handheld unit to scrub the tough stains so I’ll give it a somewhat arbitrary score of a B-. Moving on to the Kirby. 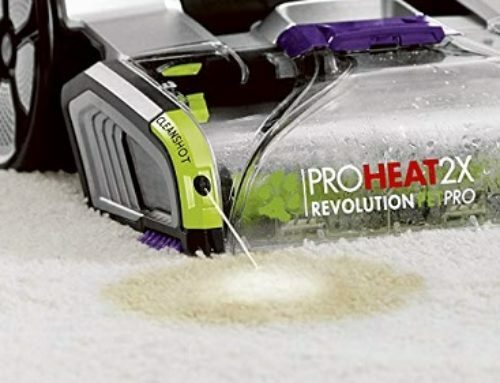 With the dry foam method, you first apply a layer or several layers of foam which is then completely worked into the carpet by running the shampooer with the foam valve off. You can also work the foam in with a rag or a brush if you have tough stains. The idea is, when it’s completely dry, you vacuum up the dry foam particles with a normal vacuum. In this case, the Kirby switch back into vacuum mode. But as you can see, it didn’t do that well, leaving a good portion of the stains. It’s not super surprising since the dry foam method is known not to be as good at deep cleaning. Its main advantage is super-fast drying times. Kirby does sell various stain pretreatments, but just out of the box with regular Kirby foam, I’d have to give its stain performance a B-.